Are you one of those people who enjoy having at least one green plant in their garden no matter the season? Since winter is almost upon us, the likelihood of you enjoying green plants in your backyard has decreased considerably. However, there is something you can do to keep your garden alive even during the cold season. For instance, have you ever considered purchasing some evergreen plants? There are plenty of trees and shrubs that keep their gorgeous green foliage even when it’s cold outside. Because we want to provide you with some inspiration, we thought it would be useful to talk about 7 of the best evergreen plants that you can find and the proper way to take care of them. Let’s have a look! 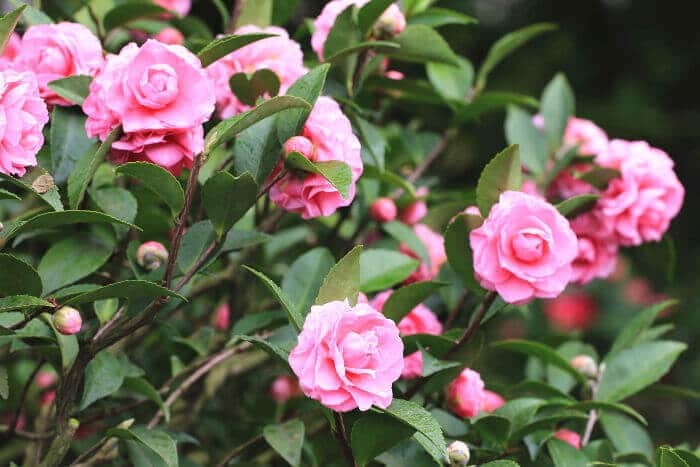 Perhaps one of the most gorgeous evergreen plants that you could consider for your garden, Camellia is breathtaking due to its large and colorful flowers. However, this is not what makes this shrub perfect all year round. Its deep green foliage stays the same no matter the season. You can find both dwarf Camellia shrubs and tall ones. So it all depends on the space you have available in your garden. However, no Camellia shrub will grow taller than 6 feet. If you notice the shrubs growing taller than you want them too, you can always prune them vigorously, since they are not sensitive to that. You should also know that they require partial shade and an acidic soil. Their flowers come in different colors such as pink, white, yellow, and red, and they bloom in spring. They are quite large and grow abundantly, providing your garden with a lovely array of colorful blooms. Many people adore the smell of lavender. If you are one of them, then you should definitely consider planting some in your garden. 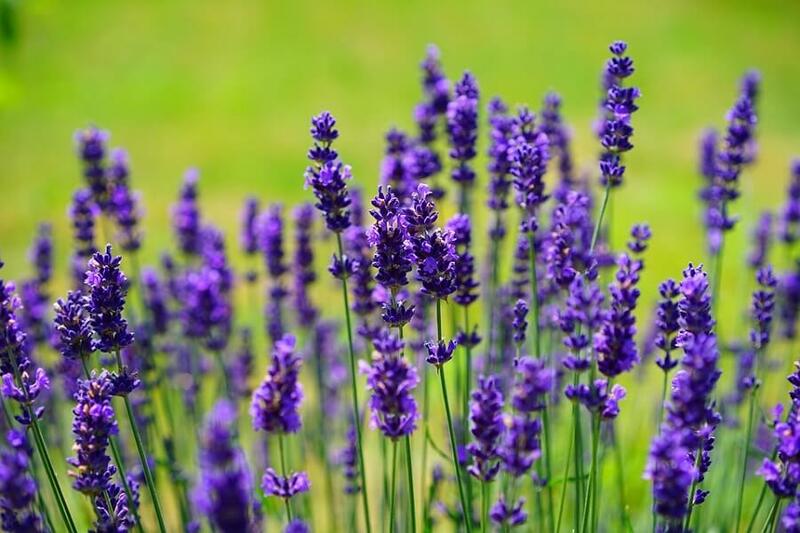 However, not many of the same people actually know that lavender is part of the category of evergreen plants. That is mainly because the focus is always on the flowers. They bloom in summer, but you will be able to enjoy the scent of lavender all year round since the foliage also contains it. Unlike most evergreen plants, lavender doesn’t have a dark green foliage, but a silver green one. This makes for a lovely contrast with other evergreen plants in your garden. Lavender comes from the Mediterranean. This means that if you have a sandy soil, plenty of sunlight, and not that much rain, this plant will adjust perfectly in your garden. 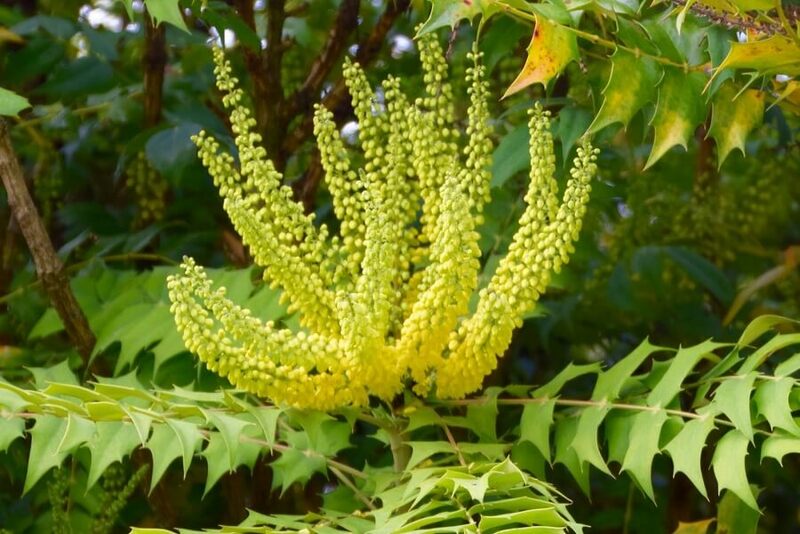 Yet another evergreen plant that has the added benefit of gorgeous flowers, the Mahonia has spiny leaves and a nicely-structured shape. Plus, the plant is easy to take care of and doesn’t require any extraordinary conditions. It can grow in multiple kinds of soil and you can use it as ground cover, as well as a really beautiful decorative plant. The flowers are bright yellow and they grow in clusters at the very tip of the leaves. Possibly the best thing about them is that they bloom in late winter. This will definitely chase away some of the bleakness in your garden. The flowers also smell really good and they are easy to spot from a distance, which will definitely make them the centerpiece of your backyard. 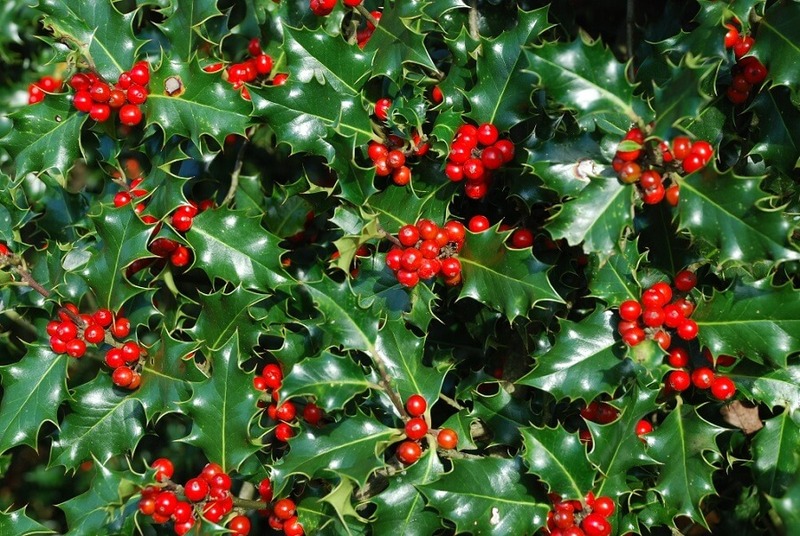 Holly is one of the most well-known evergreen plants. That is largely due to the fact that it grows red berries around Christmas. The foliage is also incredibly beautiful, being one of the darkest shades of green that you can find in any evergreen plant. The leaves are glossy and the berries definitely stand out. Also, you don’t have to worry about taking great care of these shrubs. They develop nicely both in full sunlight and partial shade. While the Holly flowers are preferred by bees, the berries are a great source of food for birds during the cold season. So planting some Holly shrubs in your garden would also help the ecosystem. 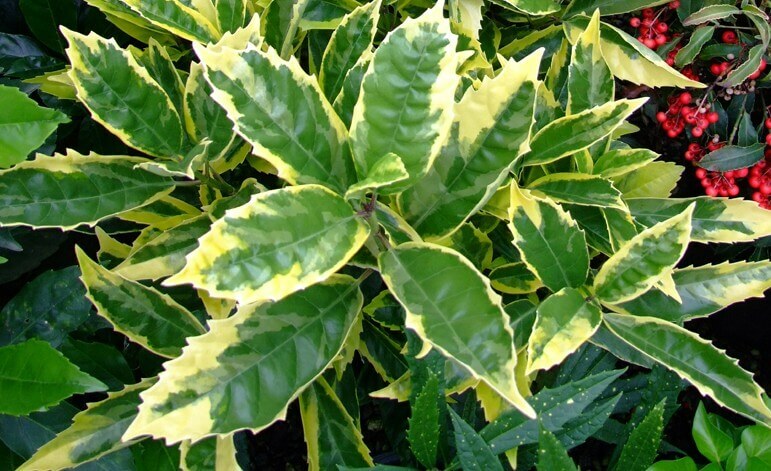 If you live in a place where the climatic conditions are harsh, but you still want some evergreen plants in your garden, the Aucuba shrub is definitely one of the best options. It doesn’t really need sunlight, it can stand dry soil, salty conditions, and even high pollution. There are many types of Aucuba shrubs out there. Perhaps the most popular one comes with a dark green and bright yellow foliage that makes for a lovely contrast. The leaves look and feel leathery and glossy. Moreover, you can get red berries in autumn from the female plants as long as they have a male pollination partner close by. Perhaps one of the most interesting things about the Fatsia shrub is that its leaves look like hands that have grown in an upright position. Moreover, you don’t have to struggle to plant it. You don’t even have to invest a lot of time in taking care of it. This shrub is quite resistant, so you can plant it in the shade as well as the sun. 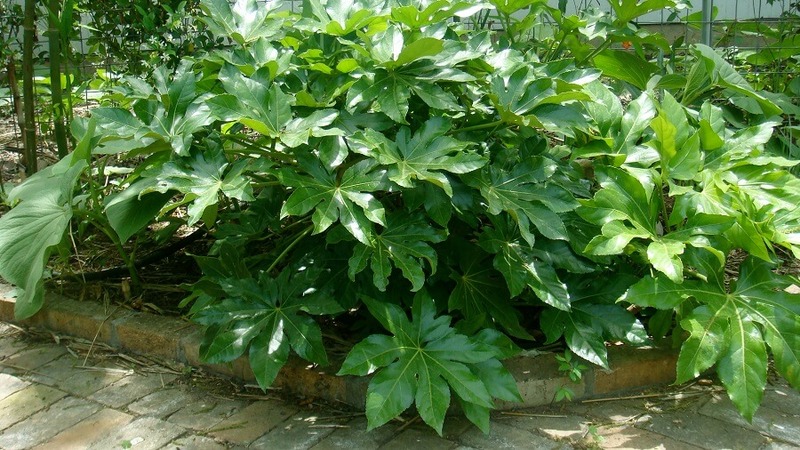 Since the glossy leaves are quite large, you should consider that you might need more space for the Fatsia. The flowers are a lovely white color and they bloom during autumn, making the shrub the centerpiece of your garden. 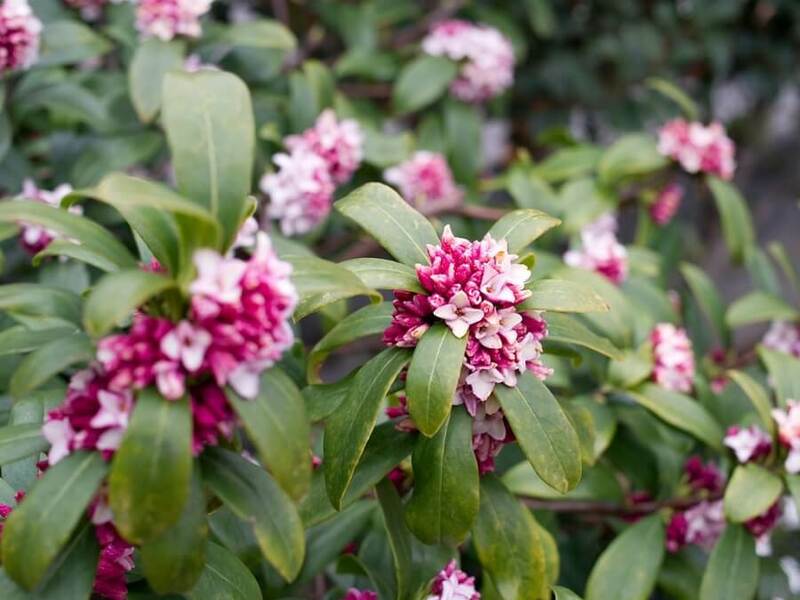 Finally, the Daphne shrub is another one of the evergreen plants that bloom in winter. This will make for a nice bright addition to your garden. The shrubs are really small and compact. So if you don’t have that much space in your garden, this is the right option for you. Plus, the Daphne shrub is perfect for both shaded and sunny areas. The foliage is quite spectacular since it has yellow edges that contrast with the center of the leaves which is dark green. Not to mention the fact that the flowers are purple and smell amazing. Overall, this shrub is the perfect mixture of beautiful and compact that many people look for in evergreen plants. Now that we’ve covered 7 of the best evergreen plants that you could have in your garden and what each of them likes, we thought we would complete today’s guide by mentioning some extra tips that you can apply to any of them. Perhaps one of the most important things you should keep in mind before plating an evergreen shrub is the best area to do so. Most evergreen plants thrive in the shade, so unless clearly specified, don’t plant them in full sunlight. This might damage their foliage. Moreover, think about the fact that you should also protect them from the wind. If you can’t do that naturally by finding a less windy place in your garden, you can use a wind-breaking fence. Some evergreen plants do not enjoy clay or overly wet soil. So if you know this is the case in your garden, we recommend you to plant the shrubs in containers instead. Usually, evergreens grow really slowly, which means they have plenty of time to get their nutrients from the soil. However, soil which is sandy or has a basic pH might not provide your shrubs with all the nutrients they require. For instance, have you ever noticed the foliage turning pale green? This might signal a lack of nitrogen, which means that you need to fertilize your shrubs properly. You can use a fertilizer that is targeted to evergreen plants, such as Jobe’s Evergreen Fertilizer Spikes that you can find on Amazon for $8.97. Even if every evergreen plant is different, most of them do require water in order to develop properly. This is especially true in the first year after you’ve planted them. If you fail to water them as needed, winter temperatures and the sun might damage them. The most appropriate quantity of water for most evergreens is of at least an inch every week. You have to water them deeply, not often, which is why we recommend doing so with this Miracle Gro Premium Bulk Soaker Hose from Amazon. Especially if winters are harsh where you live, be careful to provide your shrubs with plenty of water in late autumn. Many people believe that shrubs only need water in the summer, but this is entirely false. It is important for the shrubs to be hydrated during fall, so keep on watering them until the first frost. The fact that it’s almost winter doesn’t mean that you can’t enjoy a lovely green plant in your garden. 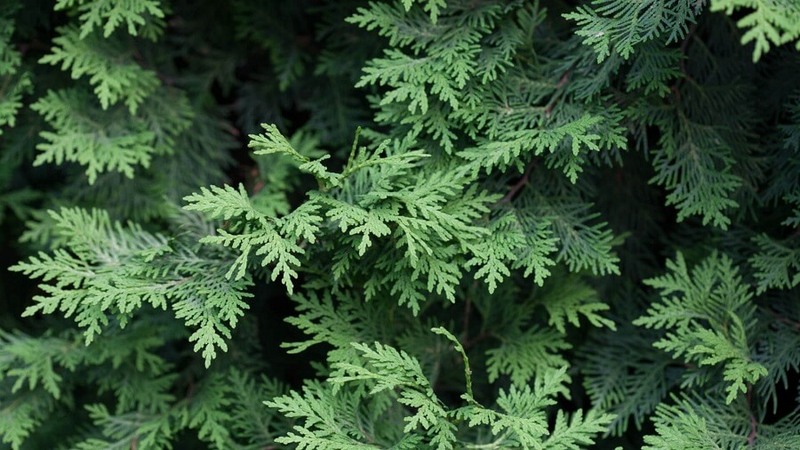 All you have to do is look for some evergreen plants that keep their fresh-looking foliage all year round. The good news is that most shrubs don’t require a lot of care and develop nicely if left mostly by themselves. The even greater news is that they also come with colorful and fragrant flowers, some of which actually bloom in winter. What better way to keep your garden alive during the cold season?